Right after our Yacht Cruise, which ended at noon, of course an all out lunch was in order. Although, half the group had somewhere else to be, the other half, stayed at The Pearl for some walking and photo ops. A walk in The Pearl in the morning meant a heavy lunch for us because one simply cannot walk the length of Porto Arabia without getting hungry. We were opting to reach Novo Cinemas at the other end of Porto Arabia but our feet could only take us so far. 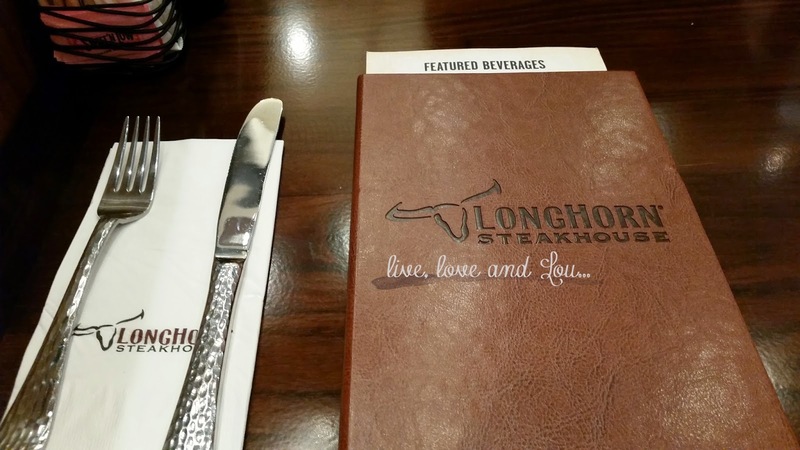 So we ended up having lunch at Longhorn Steakhouse. 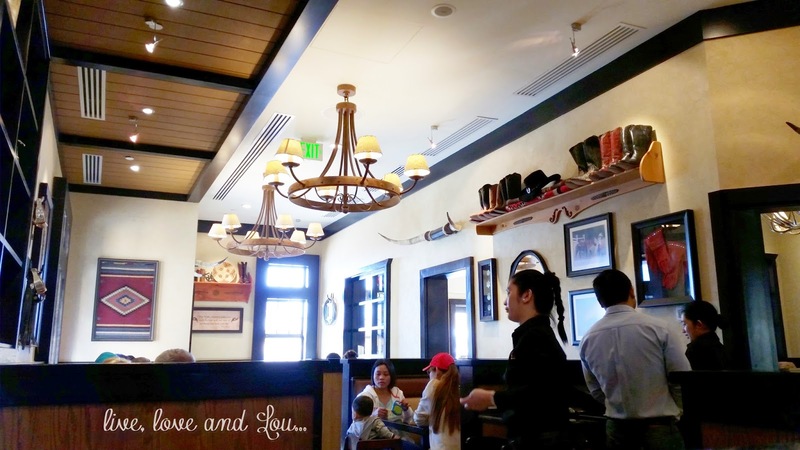 It has a Cowboy/Texan theme with Western memorabilia, paintings and decorations. It was quite bustling with families and kids as it was National Day so we had to wait for a while for a table. Since there was four of us, we decided to get the Longhorn Sampler for our starter. God knows we cannot finish this plate if it were just me and Raymond. 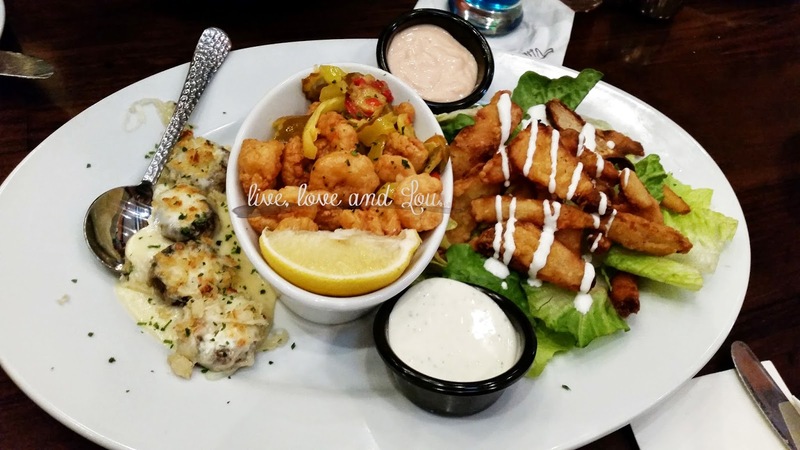 The Wild West Shrimp (battered shrimp tossed with sliced cherry peppers and garlic butter) is a Longhorn Steakhouse original and so is the Texas Tonion (Spanish onion petals, battered and seasoned, drizzled with sour cream and served with tangy dipping sauce). This dish comes with a choice of side and salad. I chose baked potato as my side. This was quite heavy, I only finished less than half of the fish. I don't know if it's because of the appetizer we had or this plate was just too big for me. Note: There are two grilled trout fillets and sandwiched in between them were shrimp and lobster. 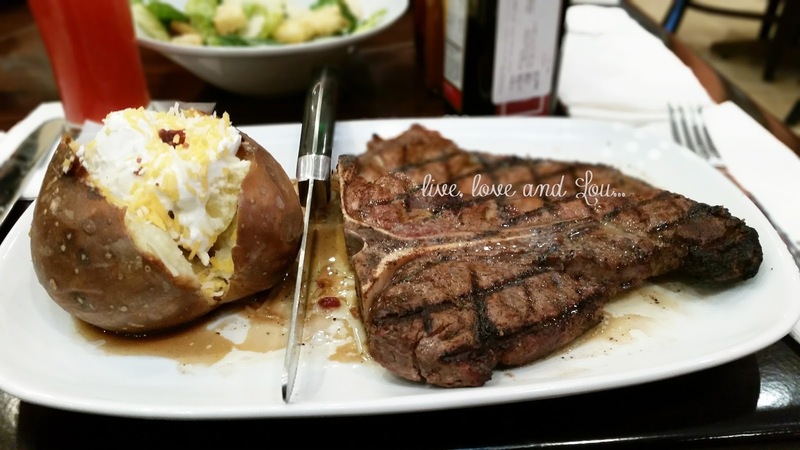 Fire-grilled USDA choice bone-in porterhouse - a NY Strip and fillet in one juicy cut. 565 gr. 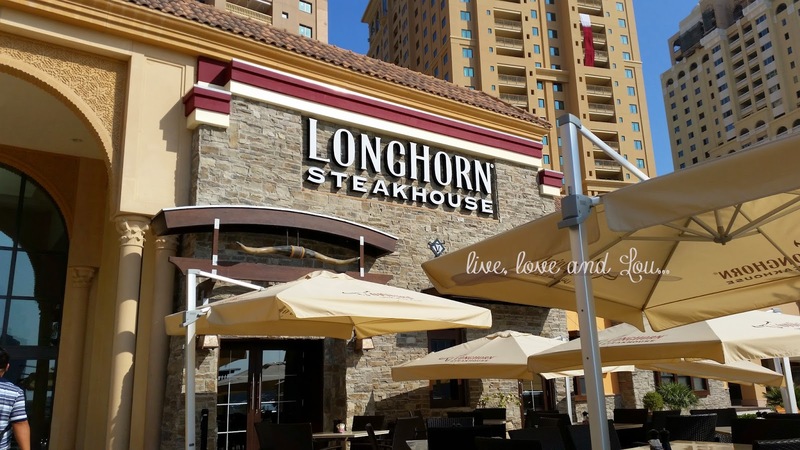 Raymond had the famous Longhorn Porterhouse which was recommended by our server. He said this was their best seller. Tip: Always ask your server for the best seller, it's always up to you whether to have it or not. 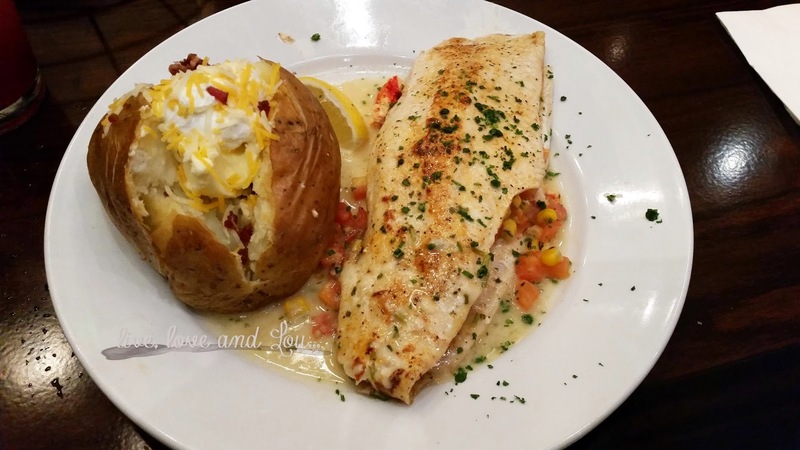 This dish is also served with one side and salad. Of course Raymond had baked potato, because he knew I'd finish mine within seconds. If you must know, I love potato! A colleague recently suggested trying here but he has not tried it himself - did you enjoy it? The food certainly looks good. Yes we did enjoy, do try it there. I would recommend the Grilled Trout and the Porterhouse. Fab, thanks. 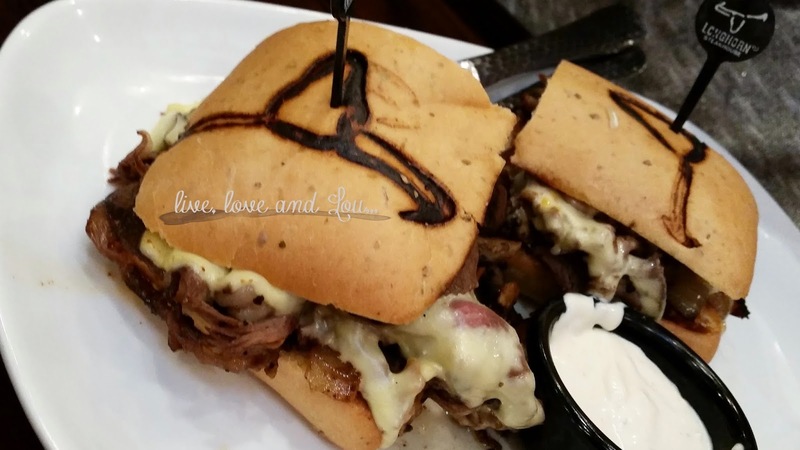 I will suggest it to my other half - he loves steak so this place will be perfect for him!